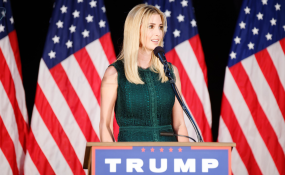 President Donald Trump’s daughter, Ivanka Trump, and the acting head of the Overseas Private Investment Corporation (OPIC), David Bohigian, announced the initiative Monday in Addis Ababa, Ethiopia, where they are part of a U.S. government delegation. Later in the day, Ivanka Trump met with President Sahle-Work Zewde. They discussed a need for reform in Africa that would lead to improved opportunity and inclusivity for women. She also held discussions on women's empowerment with Prime Minister Abiy Ahmed, commending him for increasing the number of women in leadership positions in his government. On Sunday, Bohigian signed a “letter of interest” with an Ethiopian company called Muya to help support the company through OPIC financing. Muya, owned by fasion designer Sara Abera, produces household products and was the first Ethiopian company to obtain membership in the World Fair Trade Organization.